CTFishTalk.com: C.K.A. Mansfield Hollow Tournament - SUNDAY! 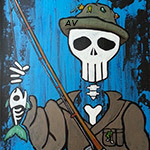 - Connecticut Fishing Tournaments ( CT Fishing Tournaments ) - A Community Built for Connecticut Fisherman. Viewing Topic: C.K.A. Mansfield Hollow Tournament - SUNDAY! Posted: Mon May 09, 2016 11:45 am Post subject: C.K.A. Mansfield Hollow Tournament - SUNDAY! Sorry for the short notice on this one folks, we had some difficulties...but we're good to go now! Hope you can make it out. Please note the new pricing structure. We're trying to "share the wealth" so entry is now mandatory $10 ($5 toward trophies & permit fee, $5 to the winners pot). The Lunker Pool is only a $5 buy in and still optional. - The way it works is if you want in you bring an unwrapped fishing lure or piece of tackle and it goes in the pot. The person who wins first place (total length of top 5 fish) gets the tackle bag. - You need a camera or phone and a measuring device that has a horizontal stop. "Bump Boards" are available at most tackle shops or retail locations for $10-30 depedning on size, material, etc. Photos must be clear, the fishes mouth must be closed and you must have your number card issued in the morning placed in the photograph. See example photo posted on the page.